This year I went to Norway with a group of Dutch kiteboarders. 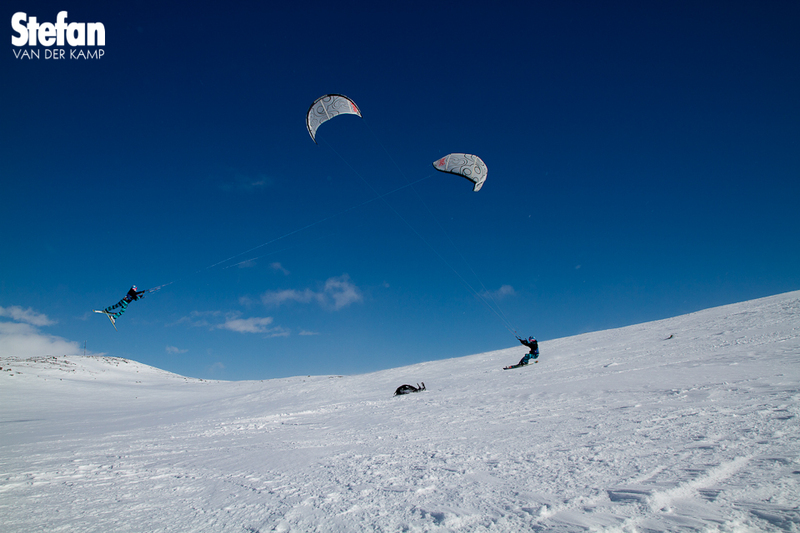 Chris Immers is already snowkiting for a couple of years. He is able to pull a trick called a kiteloop on his skies. In the newest Access Snowkite Magazine he explains how to do this kind of trick. To shoot this snowkiteloop I used my snowboard to get to the spot. Chris dragged me trough the snow while I was standing on a snowboard with my camerabag on. We found a clear spot where he could do the trick and I put my board and camerabag down. You can see both laying down in the snow on the picture. Because my camera shoots so many images I wanted to have a way to properly show the amasement when you see somebody performing a trick like this. I asked David Lok of Inmagine to design a system so I am able to show sequences in a proper way. Chris Immers helped a lot in the processing of the images and this is the result: a mouse-over-sequence-snowkiteloop by Chris Immers. Stoked!